There are sensible reasons to support less immigration into the United States, but you will not find any of them in The Economist, one of the most respected and well-read periodicals in the world. The fiercely opinionated magazine argues that it is a part of the "radical centre" and frequently supports both right- and left-wing ideas. As I've noted previously, the The Economist's position on immigration is decidedly and unapologetically one of open borders. The February 23 print edition contained an article titled "Diversity and its discontents" which argues that President Donald Trump's "real target is not illegal immigration, but diversity." The president appears to be motivated less by genuine concern for the state of the border than by his white supporters' feelings of anxiety over demographic change. His promise of a border-wall, which few immigration experts think America needs, following a steep decline in the number of illegal crossings, is a sign of that ... Mr Trump's nativist stance is positively Canute-like. This is a common smear thrown at those who advocate for lower immigration, usually accompanied by the buzz words "racist" or "xenophobe". What struck me was that such a sophomoric analysis came from a source not normally known for lazy commentary. Despite this columnist's assertions, there are legitimate reasons to desire lower immigration. Credible studies show that illegal immigration drives down wages for low-skilled and poorly educated natives, depriving them of opportunities to improve their lot. My colleague Steven Camarota notes that 63 percent of non-citizen households use welfare programs, straining our social safety net. Immigration is the primary driver of population growth in the United States, warranting a discussion of its effects on the environment, traffic congestion, and public services. The Economist piece considers none of these, instead suggesting that one only "fears" immigration because the white majority is eroding. This is a bad faith argument. The columnist offers a legislative proposal: "America needs to regularize the status of millions of illegal immigrants, while further improving border security to win consent for that change." The author surely forgot that Congress already did this in 1986 — the IRCA amnesty. 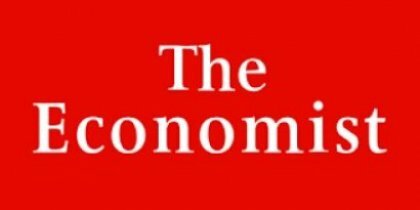 Congress amnestied about three million illegal aliens, but the promised enforcement measures -- intended "to win consent for that change", in the Economist's words -- never materialized. My colleague Mark Krikorian recently addressed this issue in a National Review Online piece. The failure of the 1986 package of amnesty for promises of future enforcement was the reason two more recent immigration efforts premised on the same deal, in 2005-2007 and 2013-2014, were ultimately rejected by Congress. The columnist ends their piece by noting that a "wave is coming" for Republicans because of demographic trends. The topic of GOP demographic doom is debated still, although it is unclear if these predictions are accurate. Yet, the author notes that "the looming calamity for Republicans, who have done so much to alienate [Hispanic citizens], is that such people vote." The columnist surely forgot to note that Democrats widely supported anti-immigration legislation for decades before changing their tune. Once again, the otherwise esteemed Economist cheapens the immigration debate by characterizing the argument for immigration reduction as that of mouth-breathing xenophobes terrified of demographic change. Certainly a fringe feels this way. But there are real and legitimate concerns with immigration articulated by normal, intelligent people. This is a straw man analysis from an outlet that knows better.